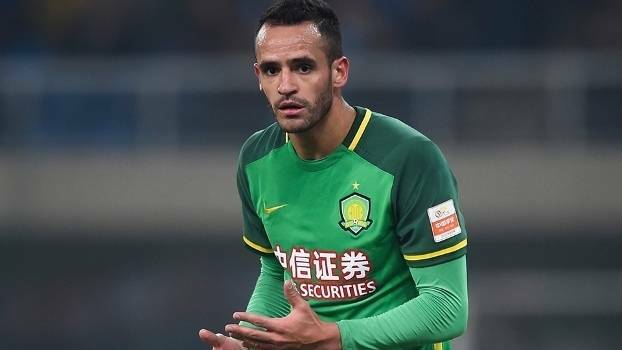 Beijing Guoan midfielder Renato Augusto has signed a four-year contract extension which will keep him with the Chinese Super League outfit until 2021. The 29-year-old has become a key part of The Imperial Guards since his arrival in January 2016, scoring ten goals in 56 games. “Beijing Guoan and Renato Augusto have agreed on a contract extension that will keep the Brazilian at the club until December 2021,” Guoan said in a statement. Augusto’s previous deal was set to run out at the end of CSL this season, but the Brazilian international’s extension will end any rumours of a possible move to Europe. “Augusto and his agent had received several offers from Europe but he chose to renew his contract to stay at this club,” it added. The former Bayer Leverkusen star has also been in fine form for Brazil, starting every competitive game especially in the 2018 World Cup qualifying campaign.